We invest in quality and we strive to satisfy and win the trust of our customers. Therefore, we bet on the Quality Management System, in certifications and accreditations by manufacturers and independent entities. Because we recognize quality as an essential factor to create credibility and strengthen our market position, we are based in strategic partnerships with brands and entities that guarantee us products of high quality standards at competitive prices. – Create value for our customers and employees through the design and development of technologically advanced solutions. – Offer solutions that exceed the expectations of our customers, distinguishing us by a vocation of service, innovation, quality and social commitment. – Consolidate our position in the markets in which we operate, making Rederia a national and international reference. – Invest heavily in I&D and training of human resources, enhancing competitiveness. – Make a strong commitment to the principles of economic, social and environmental sustainability. – Customer satisfaction is an essential reference for us. – Acting with professional ethics and in accordance with the real needs of the clients. – Generation of added value to customers by the provision of products and services. – We provide conditions for the individual growth and development of the team spirit of our employees. – It is through the constant search for innovative solutions and the ambition to surpass each new project that Rederia has gained the prominent position it holds today. 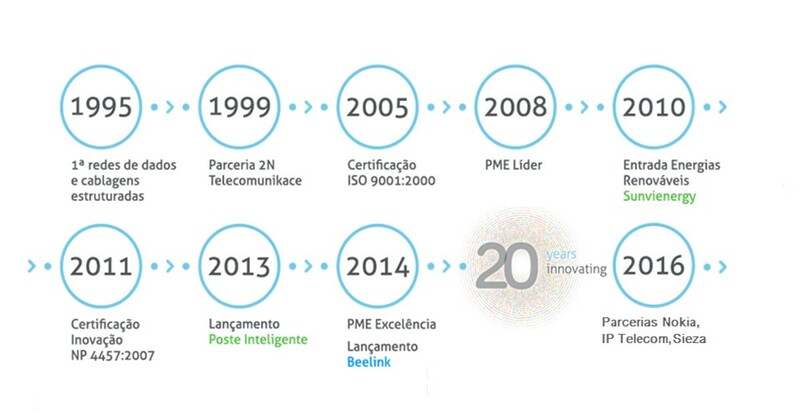 We presented ourselves to the market in 1995, focusing our activity in the provision of services in the execution of projects and in the installation and maintenance of telecommunications, telemetry and control networks. FRUIT OF TIME AND ACQUIRED EXPERIENCE, over the years, we have been consolidating our performance in the electronic and telecommunications equipment trade, offering all pre and post sale support. Our strategic focus is on customer orientation, seeking to offer solutions that fit your needs. Customer satisfaction is, for us, an essential reference. From the very first moment, we have invested heavily in what is our greatest capital: our professionals. The focus on state-of-the-art technologies, namely the acquisition of fiber optic connector and fusion equipment and test and measurement equipment for this new fiber optic copper replacement technology, was another concern. We believe in what we do and want to continue to improve continuously so that every year we take new steps in diversifying our business areas and in sustained growth across borders.